The Lambing Flats Chinese Festival will be celebrated this weekend. There is an action-packed program with activities all day on Saturday with something for everyone to enjoy, from Samba dancing to Chinese lion dancing to the Sunset Lantern Parade. Last year the Festival introduced a new element, a guest nation. This year’s guest nation is South America and to celebrate, lively, rhythmic Samba dancing will feature. Glamourosas Brazilian Entertainment dancers are based in Canberra and have performed at high end events like the Sydney Latin Festival and the New Zealand Salsa Festival. Members of the group will present two performances at the Festival and will be part of the Sunset Lantern Parade. Some of the Glamourosas are fresh from five weeks of dance workshops in Brazil. A new Chinese lion dancing troupe will also feature at this year’s Festival. The group, Prosperous Mountain Lion Dance, is Canberra’s first locally based lion dance group and comprises of volunteers of different ages who enjoy learning skills and developing friendships. The group will present three sets of dances during the twilight activities. They will perform outside the Young Town Hall at 6.30pm, 8pm and be the Festival’s final performance at 8.45pm. Lion dancing is one of the most popular attractions of the Festival and traditionally draws big crowds. A twilight spectacle of lanterns will sparkle at the Festival precinct at 7.30pm as children from Hilltops schools take part in the Festival’s second Sunset Lantern Parade. The Sunset Lantern Parade is part of colourful event attractions set for the Festival this year. Hilltops region schools are participating in workshops decorating lanterns for the 2019 Festival, which feature Year of the Pig cut outs, calligraphy and a South American theme. Students who have decorated lanterns are encouraged to take part in the parade. Chinese musicians playing traditional Chinese music on authentic Chinese instruments will also perform on the night. Performer duo David and Eva make a return to the Lambing Flat Chinese Festival again this year to add to the ambiance of the event. 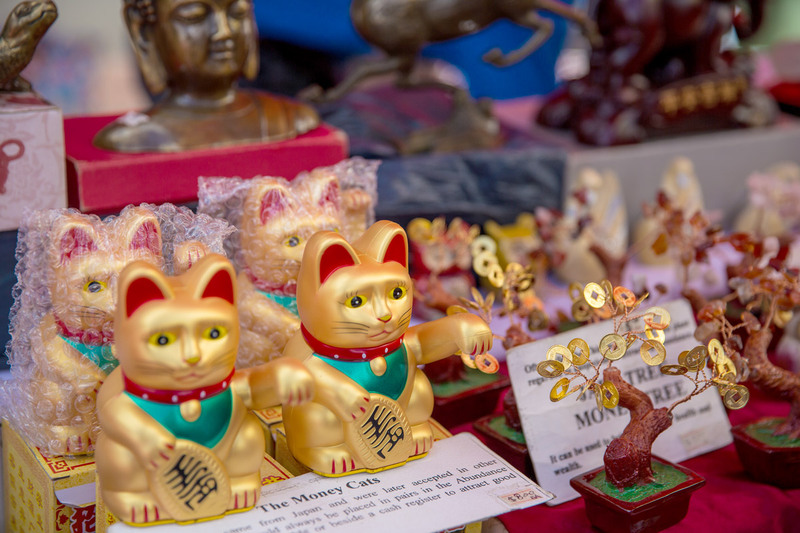 Also featured are other disciplines of Chinese culture including calligraphy, a Chinese costume display, a God of Fortune Mascot and a Year of the Pig character. Watch out for the comic pig character that you may discover wandering in the crowd. The presence of a cheerful and friendly pig is recognition that 2019 is the Year of the Pig according to the Chinese Zodiac and is expected to be a welcome addition to the Festival program.